Welcome to Tavola, your new favorite downtown dining establishment. Tavola offers traditional Italian cuisine made with fresh, local and honest ingredients that remain approachable to the palates and temperaments of our local community. This allows us to provide signature food items and classic cuisine to our hotel guests while remaining true to Minnesota’s love affair with hearty comfort food. Tavola’s approachable menu allows you to curate your own dining experience . You’ll find sophisticated downtown fare alongside traditional comfort foods, just like Nonna used to make. Our small plates, or Meno Mangiare menu, takes you on a culinary journey highlighting some of Chef Aaron Uban’s favorite selections. At the same time, we offer hearty proteins, family-size appetizers for sharing, and plenty of freshly baked bread to soak up savory sauces while rounding out a memorable dining experience. Our wood-fired oven pizzas are perfect for those who may want a pie and a glass wine, or something fresh and flavorful to grab on the way home from work. Whether you enjoy rustic and hearty dishes inspired by an Italian grandmother’s tried-and-true recipes, the intoxicating aromas of just-baked breads and entrees in a wood-fired oven or simply the feeling that you’re being well taken care of, Tavola is about to become one of your new favorite restaurants in Minneapolis. 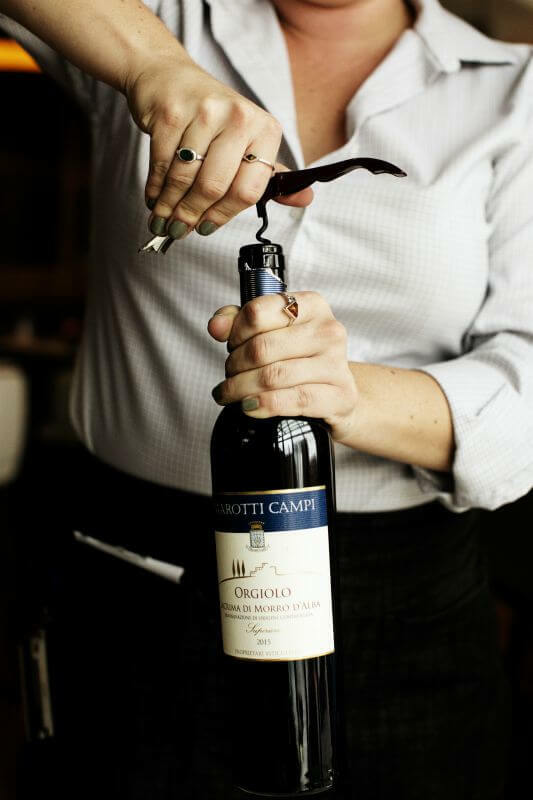 Our wine list, heavily focused on premium Italian wines, is full of personality and designed to be accessible and affordable while complementing every item on the menu. You can easily try any bottle of wine under $100 with the help of Coravin® specialty wine openers and pourers. For our cocktail program, we have created classic renditions of traditional Italian cocktails while mixing local tastes with locally procured spirits to offer new and inspired interpretations as well.